Alcohol and coffee seem like a match made in heaven, and indeed, the two have been mixed as long as coffee has been around. We’ve broken down alcoholic coffee cocktails by the type of liqueur used. A shot of sugar is 2 parts sugar to 1 part water. Admittedly, Kahlua is cheating a little since it’s a pre-made coffee-based liqueur, however many drinks can be improved by adding actual coffee to these recipes. A standard “shot” of alcohol is 1.5 oz, so we’re using ounces below. A standard “shot” of espresso is 2 oz, a “double” is 4 oz. 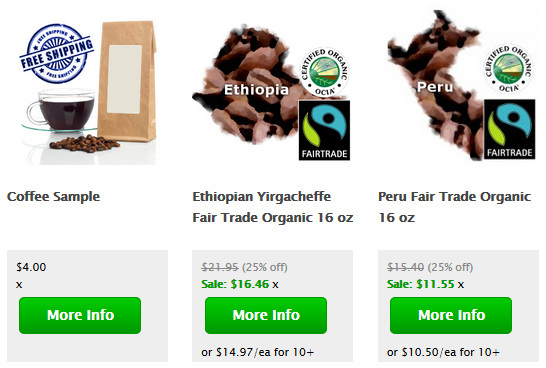 When looking into what type of coffee to use, the smoother coffees (eg. low acid coffee) typically work best to infuse the coffee flavor into the drink without overpowering it. This is in contrast to what is usually recommended by coffee snobs – acidity is a desirable feature in straight coffee – but not so much in mixed drinks. Depending on your personal preferences, you may want to make the coffee flavor stand out more in a drink. This can be done without changing the ratios involved by making a double ristretto shot instead of a single espresso shot. We also strongly recommend using coffee ice cubes in place of regular ice cubes for these drinks. A collection of coffee liqueur cocktails, blending coffee or espresso with Kahlua. The Spanish coffee originated as a war-time drink, combining rum and coffee to give the troops courage (coraje). It's been adopted and modified for the American tastes to include a coffee liqueur and whipped cream. Optionally: use a spoon to top with whipped cream, maintaining separation of ingredients. This Spanish Coffee recipe combines the best of coffee and alcohol into a pleasant after-dinner drink. The sweet liqueur and whipped cream means that typically sugar isn't needed. The Flying Frenchman recipe involves equal parts absinthe and a coffee liqueur, along with a shot of espresso. May be garnished with a star anise. One of the simplest recipes you can make with rum and espresso is the Espresso Daiquiri. Hailing from Cuba, simply combine all the ingredients, mix, and serve! The vodka espresso isn't just two ingredients: try it and you'll be disappointed. Smooth out the flavor of these two strong drinks with an intermediary like a coffee liqueur, and just a bit of sugar. This twist on a white-russian dumps the milk, and replaces it with an almond liqueur. Also known as a "Caffe Russe", this unconventional combination of Vodka, Coffee and Red Wine packs more flavor than you've ever had in a drink. The simplest coffee and alcohol are simply a combination of espresso or coffee and a liqueur. When using coffee in a recipe, we typically recommend using a strong-brewed coffee rather than regular brew. Increasing the amount of coffee grounds used or decreasing the water used (while increasing contact time) will do this. This is easiest to do in an aeropress, french press or pour-over coffee maker, while an automatic coffee maker may not be as adjustable. Prepared from the roasted beans (seeds) of the coffee plant, coffee is one of the world’s most popular beverages. Coffee contains a number of plant-based compounds that are actually good for your health, and can help protect from liver damage caused by alcohol! There are also beverages made from the coffee cherry – either the dried fruit (known as Cascara) or the ground fruit, having been made into coffee flour, can be added as a supplement to nutrition shakes. Coffee is prepared by one of numerous brewing methods using hot water to extract the flavor components from the roasted ground coffee beans, which are the seeds of the coffee plant found at the center of the coffee cherry (fruit). The ratio of water to ground coffee used to create the optimal coffee beverage strength from a particular type of coffee brewing equipment is known as the brewing formula. Alcohol is brewed in a number of different ways as well, each of which varies based on the type of alcohol and the region in which its produced. Some of the chemical components of coffee beans are affected by the roasting process while others are not. Some compounds related to the coffee’s aroma are created during roasting. When hot water is added to roasted, ground coffee beans, both nonvolatile taste components and volatile aroma components are extracted from the grounds. Among the nonvolatile taste components are trigonelline, chlorogenic acid, amino acids, phenolic acids, carbohydrates, minerals and the alkaloid caffeine, which is the principal cause of the physiological effects of coffee on the human body. Caffeine has a mild to strong stimulating effect depending on the amount consumed. Among the volatile aroma components extracted are organic acids, ketones, esters, amines, and mercaptans. For tips on brewing the best cup of coffee you ever had see our detailed section on Coffee Brewing. 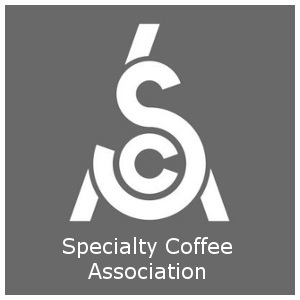 You can also read detailed specialty coffee taste profiles in our Gourmet Coffees sections, then move on to read the easy-to-follow instructions on preparing fabulous Espresso Drink Recipes. For step-by-step instructions on pulling amazing espresso shots please see Pulling A Perfect Espresso Shot and then hone your master barista skills by reading How to make a Latte.